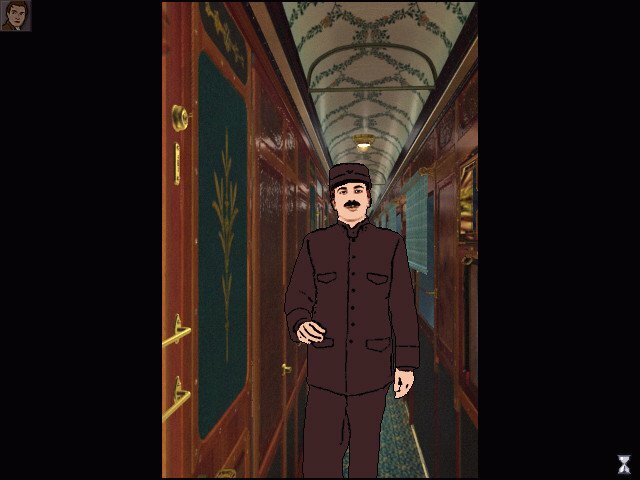 Jordan Mechner’s The Last Express takes place on the legendary Orient Express during that train’s last trip from Paris to Constantinople, just before the outbreak of World War I. 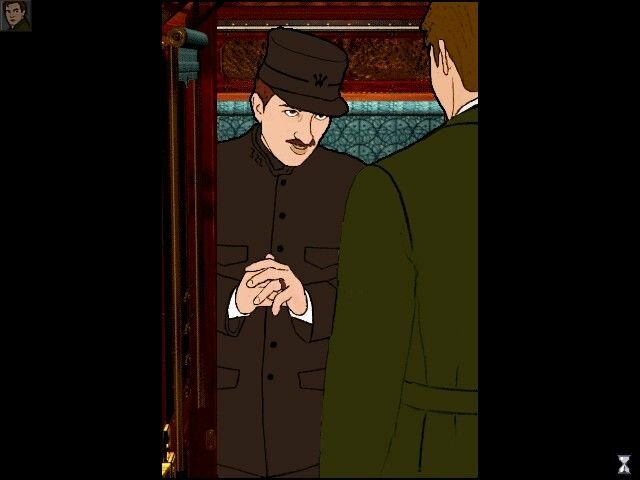 It also begins with the hero discovering a murder, but otherwise bears little resemblance to the Agatha Christie novel, and its hero is not Inspector Poirot. He’s Robert Cath, an American, who (like Bogart in Casablanca) hides his battered American idealism beneath a hard-shelled layer of cynicism. 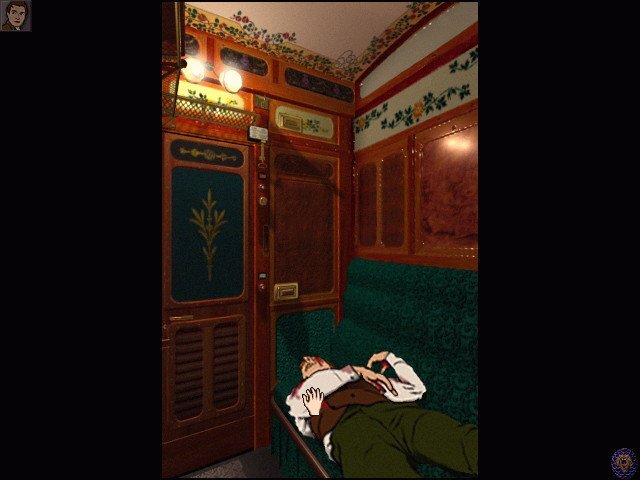 He had been living peacefully in Paris until he got caught in the wrong place at the wrong time. He is now a fugitive wanted by the police, and is desperate to get out of Europe. A telegram from old friend Tyler Whitney offers him a safe journey to Constantinople. 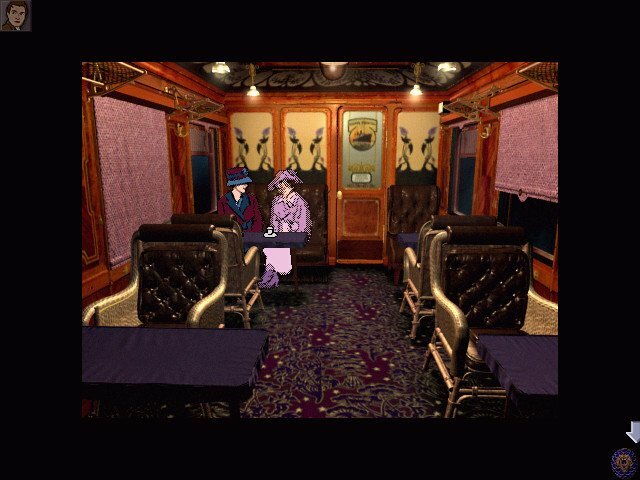 A cutscene shows your character boarding the train, and a little snooping around further thickens the plot when you find out Whitney was murdered. The player takes control of Cath just after he boards. 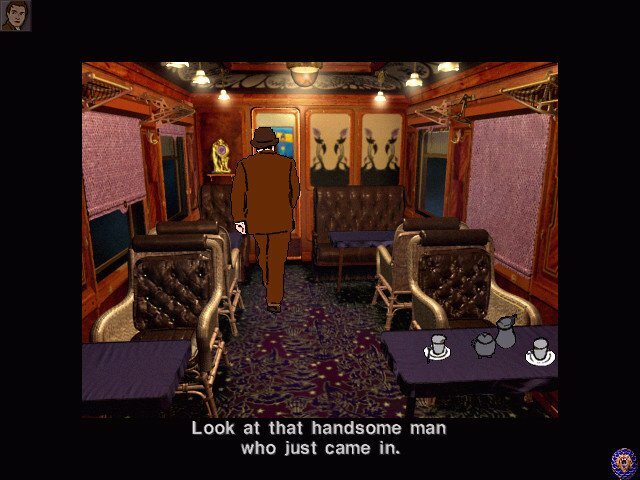 It is possible to wander aimlessly about the train’s seven cars listening in to various conversations, but unless Cath soon finds and hides Whitney’s body and assumes his identity, he will be arrested and have to replay the first day. 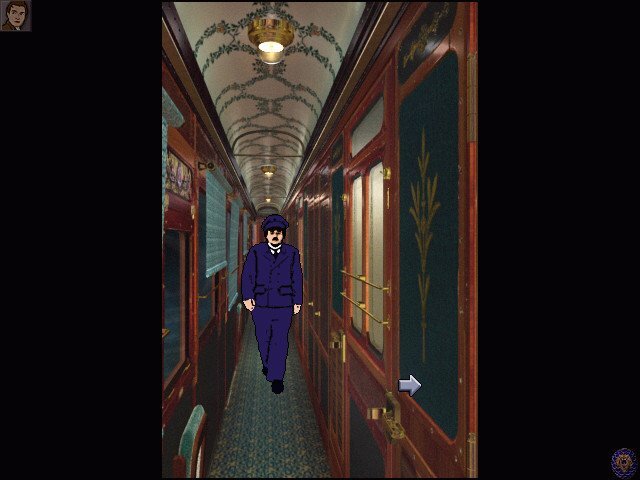 The suspense is almost unbearable while the body is in danger of being discovered, especially by the conductor who is always a door’s knock away. One of the game’s innovations is that the player is not allowed to save and load. 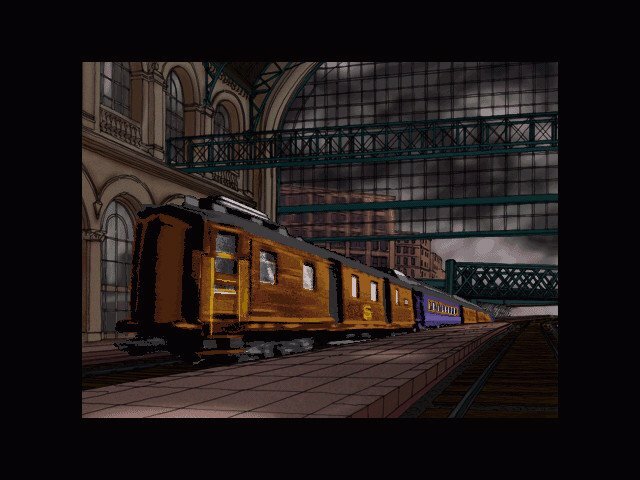 Instead, the game runs like film on a projector and is saved automatically when the player pauses or quits the game. 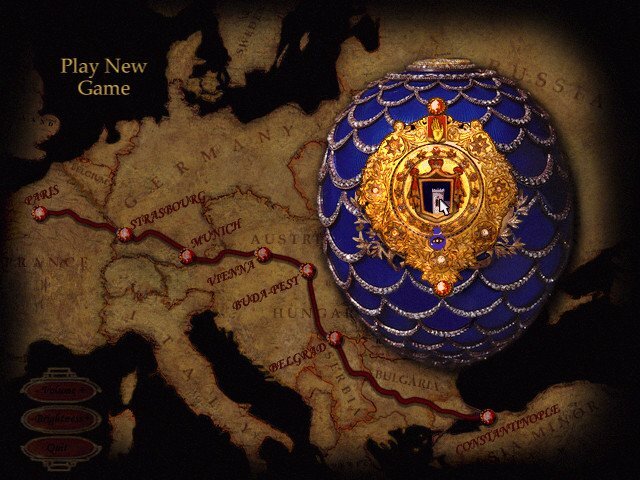 A red line on the map keeps track of the player’s progress as the train chugs towards Constantinople. 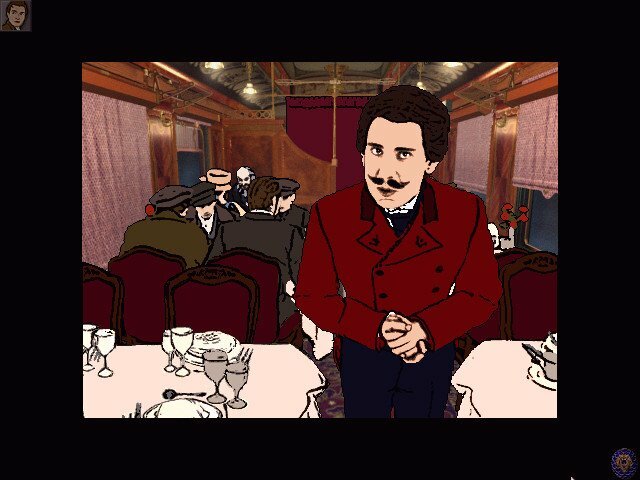 The film can be rewound to various stops, thus allowing the player to try different strategies. 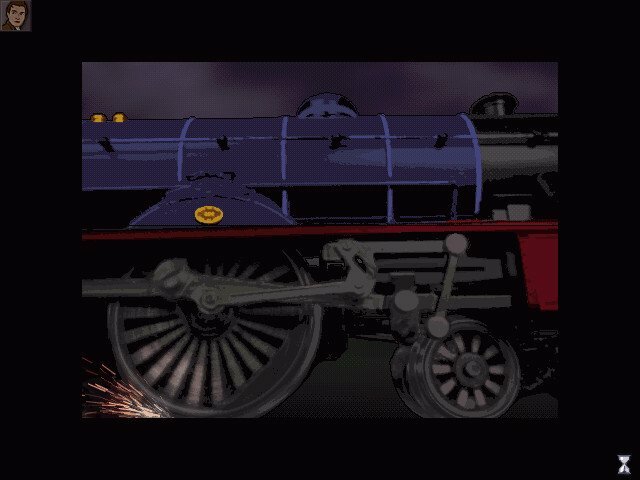 It is automatically rewound to the point just before Cath dies in the arcade sequences (there are several times he has to fight armed adversaries without a weapon of his own). 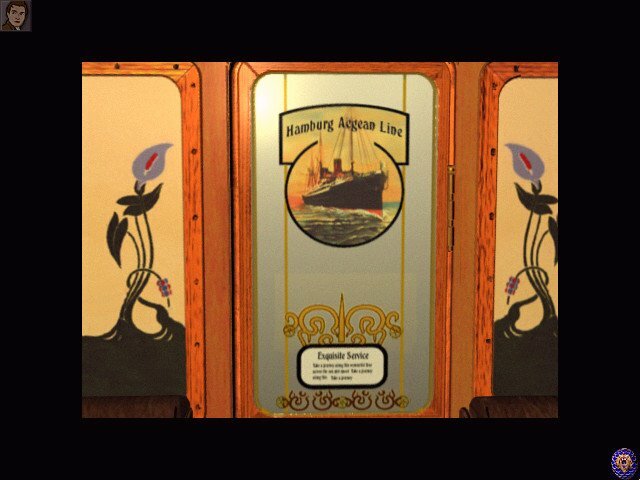 The player’s main objective is to uncover all the strands of the elaborate plot with which Whitney was involved. 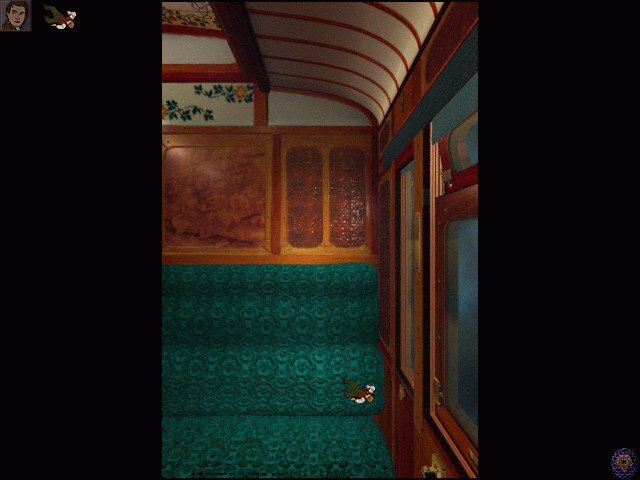 The train is a microcosm of Europe’s aristocrats, anarchists, revolutionaries, industrialists, and spies in 1914. 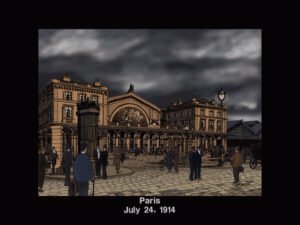 The rotoscoped environments may be a problem for those expecting a fully animated game. The characters feel stiff at times. There is no lip-synching, and visually the game just feels a bit rough around the edges. Even so, The Last Express is a new and better way of telling an interactive story, and as such provides a role model for other adventure games.